In celebration of the life of Glenn Stuart Bomback, we honor and will always remember this talented yet humble family man who was born April 2, 1935 to parents John and Laverne. He was also a devoted brother to John Bomback. Glenn graduated from Euclid High School and married his high school sweetheart, Deanna Kostelic in 1953. They were blessed with four children, Glenn (Diane), Barbara Baskette (Robert), Ronald (Wendi) and Margaret Roder (Michael). He received his Bachelor of Science degree in Engineering from Cleveland State University and his Master’s degree in Business Administration from John Carroll University. He was employed by The National Acme Company for 28 years. Upon leaving National Acme, he and a partner co-founded Prime Equipment, a Manufacturer’s Rep Company serving the machine tool industry, where he worked in the industry that he loved until his retirement 17 years later. Glenn was a golf enthusiast who also enjoyed hunting and fishing. He was an avid runner and an animal lover! He and Deanna enjoyed traveling as witnessed by their multiple trips to Europe, including most recently, a trip with many family members to his native country of Slovenia. Glenn easily made friends and always enjoyed their company, many of whom were classmates who became lifelong friends for nearly 70 years. Together they enjoyed sharing a glass of gin or Slivovitz and playing cards. 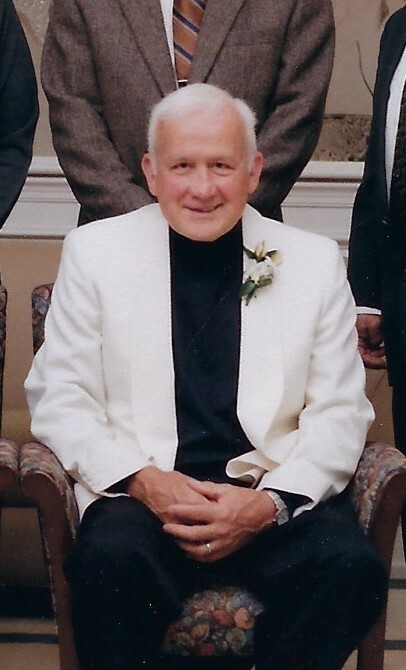 Glenn was involved in many community and charitable organizations, including St. Joan of Arc Catholic Church, The Chagrin Falls Historical Society, Meals on Wheels, as well as a favorite…serving on the Board of the Chagrin Falls Booster Club for 10 years. He cared deeply, and was always willing to give of his time and offer his talents for the benefit of his family, friends and community. While Glenn was a man of many interests and diverse talents, he was, at heart, a family man…husband, father to four, grandfather to eleven (Hannah, Robert, Jasen, Michael, Charles, Brenton, Weston, Lyndee, Michael, Emily and Brian) great-grandfather to seven (Lena, Morgan, Josh, Liam, Rory, Shannon and K.K). Over the years, Glenn lovingly restored and completely rebuilt eight homes…four for himself and his wife, and the others for his children and their growing families. He was a lifelong master woodworker who spent countless hours in his beloved workshop building cabinets and fine furniture for loved ones. He was known for his tireless efforts and everyone who knew him marveled at his work and his work ethic. Recently, he found solace in the quiet moments…sitting on the porch or davenport with his wife and dog, watching and listening to the birds. He was a gentle, humble and giving man who dedicated his life to serving others…may he rest in peace. Nostrovia!